Pronation defines the natural movement of feet. While most commonly associated with running, pronation impacts every person's gait and even the type of shoes that are most comfortable. A person's natural arch impacts pronation and whether the foot and ankle remain upright or roll somewhat with each foot strike. 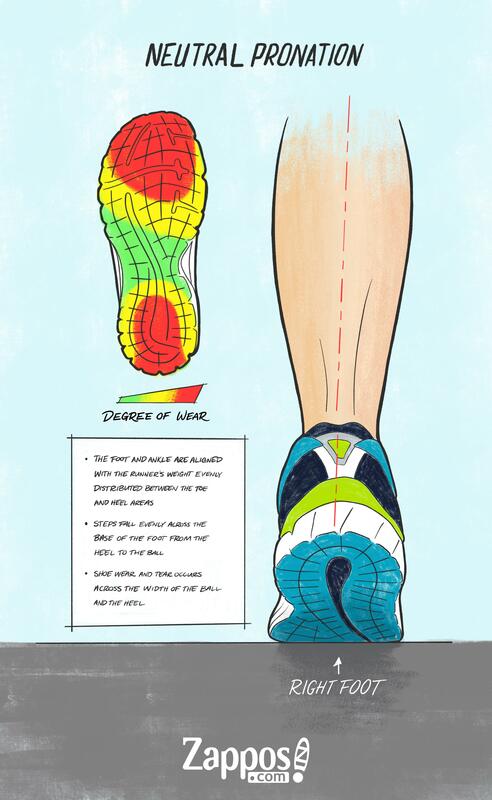 Understanding your pronation can help you find the right shoe for running or walking. Neutral pronation refers to a movement where the ankle does not bend more than 15 percent inward with each step. Neutral pronation occurs when the foot and ankle are in an aligned, upright position, with the person's weight evenly distributed between the toe and heel areas. Runners with neutral pronation prefer shoes with stability, because they are evenly balanced and don't force over- or under-pronation. What does neutral pronation look like? 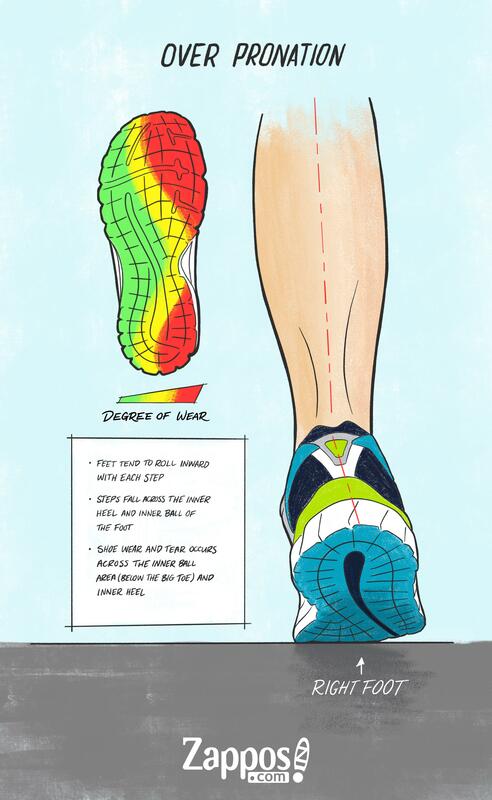 For most runners, steps fall evenly across the base of the foot from the heel to the ball .The footprint has toes that are well-defined, a wider ball area and rounded heel; you can also see a significant curve of the arch. 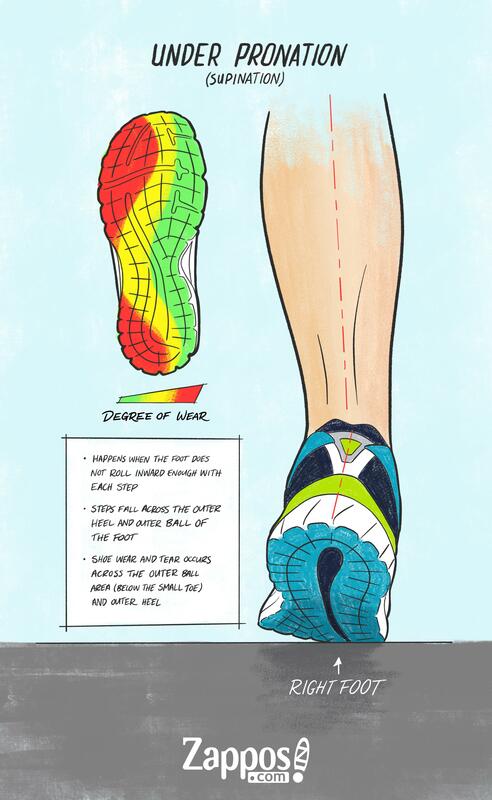 Shoe wear and tear occurs across the width of the ball area and the heel (most wear is in the center top and bottom). Over pronation is a tendency to roll feet inward with each step. Over pronators often have flatter arches and the ankle is flexible and bends inward as the foot strikes the ground. 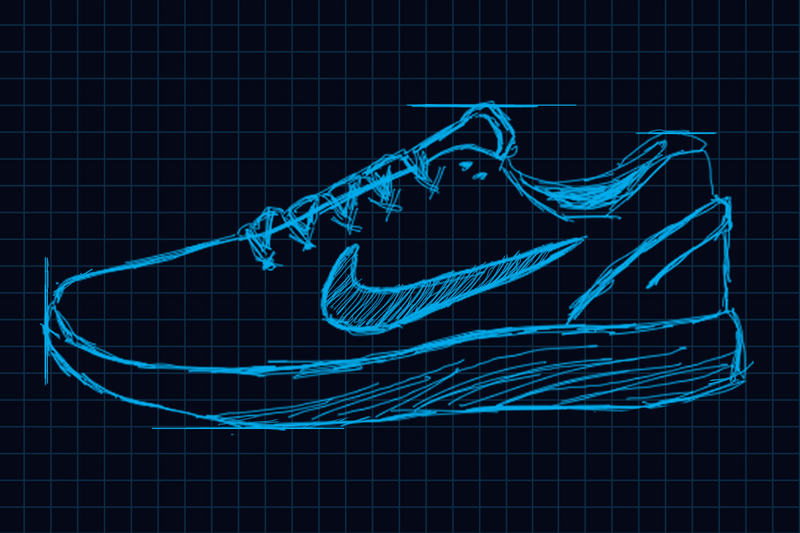 Runners with over pronation prefer shoes that are a little heavier and have durable outsoles to help reduce wear. 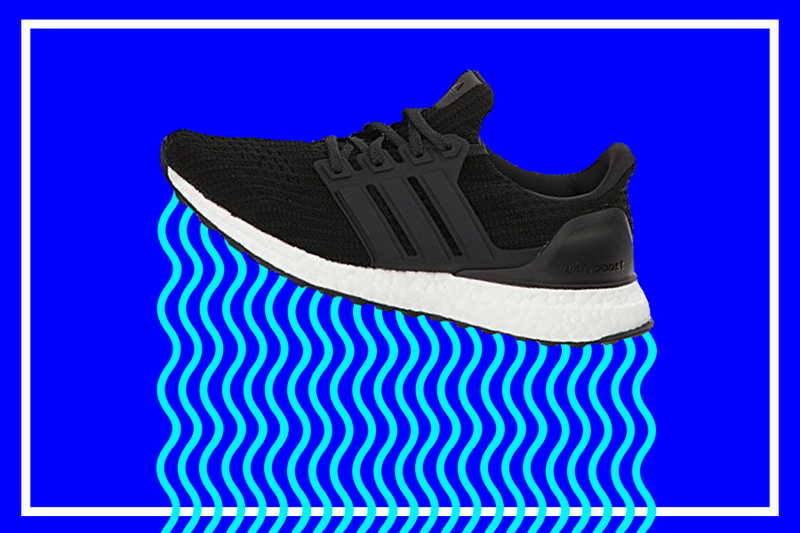 The additional shoe weight and durability can help balance the inward pull to over pronation, bringing the runner back to a more neutral stance. That is, since the shoe is heavier, it's harder to pull into an over pronated position. What does over pronation look like? Under pronation, or supination, happens when the foot does not roll inward enough with each step. Under pronators often have higher arches. Runners with under pronation prefer shoes with support, structure and cushioning to balance the impact more evenly across the foot. 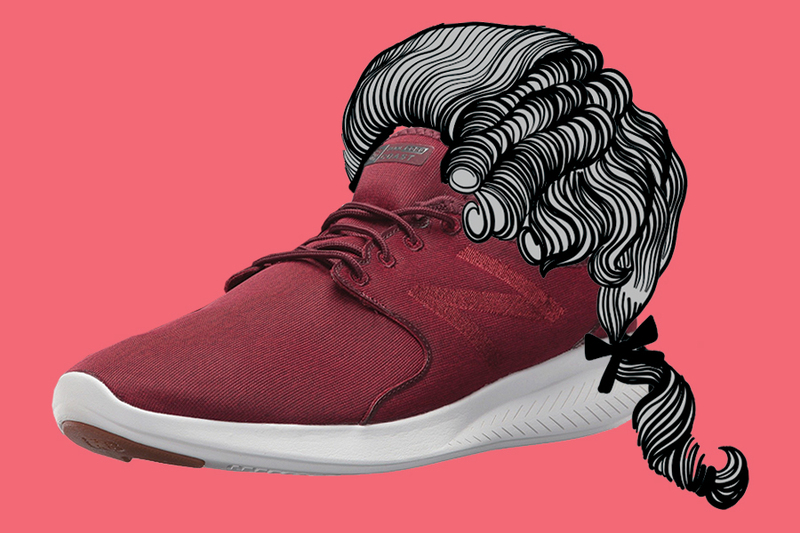 Under pronated runners also tend to benefit from shoes that are a little more lightweight with a more flexible inner sole to support their arches. What does under pronation (supination) look like? Steps fall across the outer heel and outer ball. The footprint shows less imprint with a normal ball area, severe arch and thin heel. Shoe wear and tear occurs across the outer ball (below smallest toe) area and outer heel (wear is on one side).